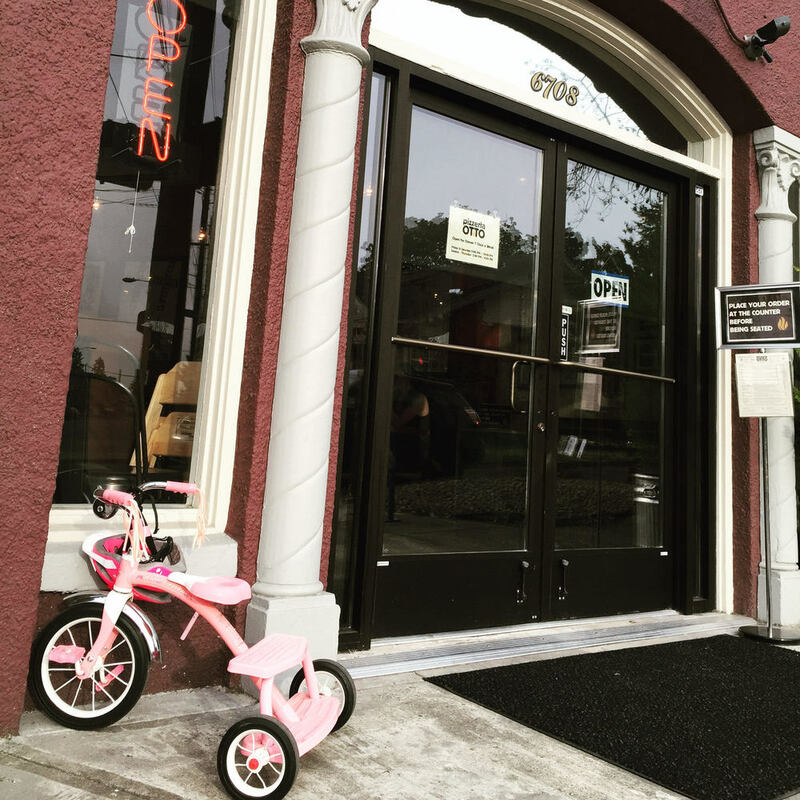 "Pizzeria Otto has emerged as the gold standard for traditional Neapolitan Pizza in Portland"
Welcome to Pizzeria Otto - a family-friendly neighborhood joint, obsessively devoted to the craft of pizza making. 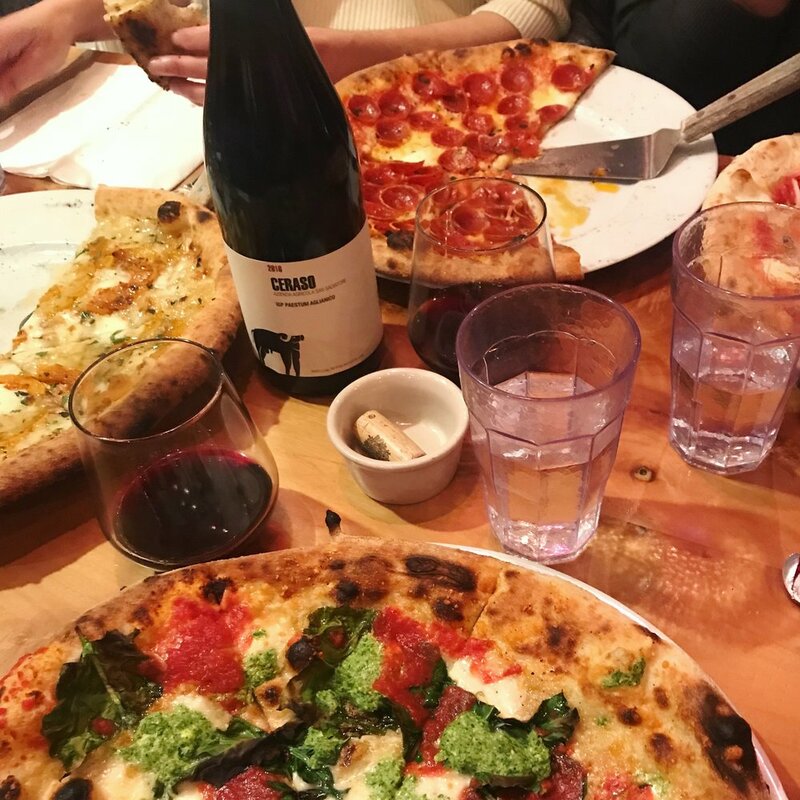 Offering top-notch thin-crust Neapolitan pies, fresh local salads, craft beer and excellent wines in a comfortable and welcoming atmosphere. Bring your kids, bring your pals, bring your date, and bring your grandparents for a handmade pie and a good old time. 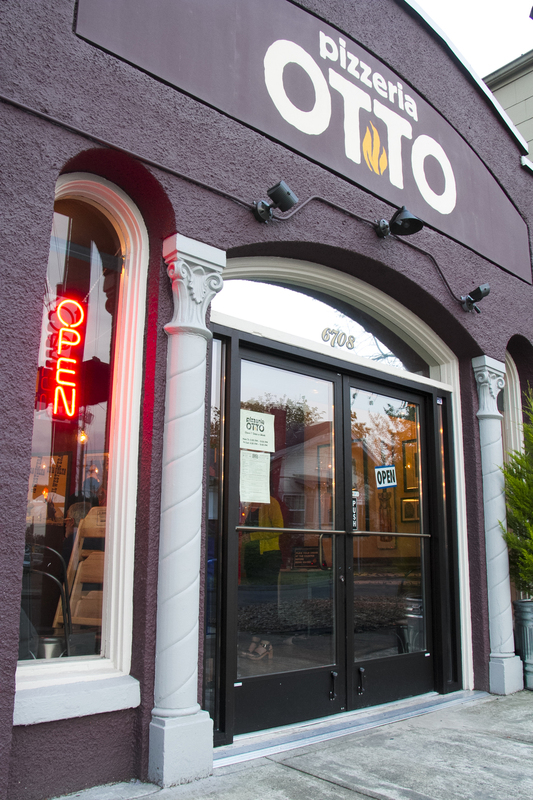 Named in honor of the diverse Roseway neighborhood, "Otto" is Italian for the number 8 - the luckiest number in many Asian cultures. 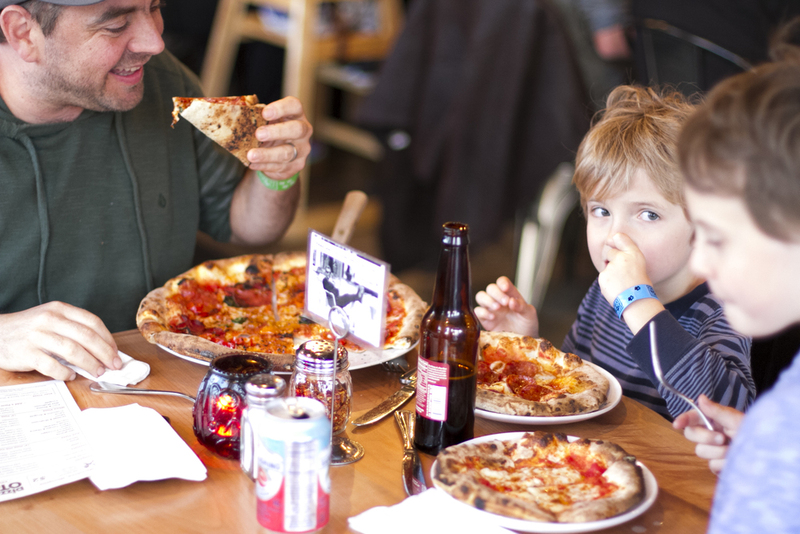 Ranked #2 in the Oregonian's 27 Best Wood-Fired Pizzas! The pizzaiolo shuffled his feet nervously as he stood by the stern judge. He was defending his pizza's crust -- it was crunchy. Unfortunately for the contestant, crunchy is a no-no in the heartland of pizza production… "Stupid move," the judge said tersely. "Why enter a contest of Neapolitan pizza if you can't make one the right way?" Ask about our rotating selection of craft beer and extensive wine list, as well as soda and n/a beverages. "The pizzaiolo, the pizzamaker, shuffled his feet nervously as he stood by the stern judge. He was defending his pizza's crust -- it was crunchy. Unfortunately for the contestant, crunchy is a no-no in the heartland of pizza production. "Stupid move," the judge said tersely. "Why enter a contest of Neapolitan pizza if you can't make one the right way?" Pizza as we know it today (crusty flatbread topped with tomatoes and cheese) was invented in Naples, Italy. Before the 1700s, flatbreads existed but were never topped with tomatoes—now a defining characteristic of pizza. Tomatoes were brought to Europe in the 16th century by explorers returning from Peru, but they were believed to be poisonous by many Europeans until poor peasants in Naples began to top their flatbread with it in the late 18th century. The dish soon became popular, with visitors to Naples seeking out the poorer neighborhoods to try the local specialty. 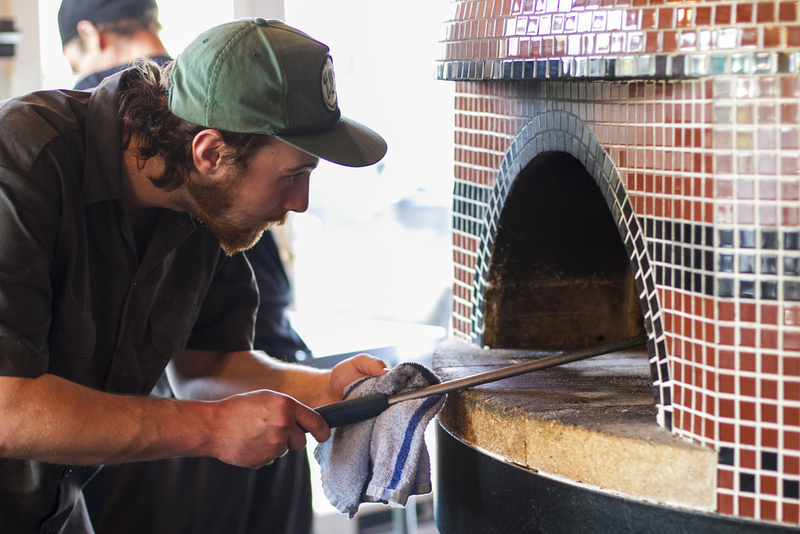 Baker Raffaele Esposito, who worked at the Naples pizzeria “Pietro... e basta così,” is generally credited with creating Margherita pizza, now known as the classic Neapolitan-style pizza. In 1889 King Umberto I and Queen Margherita of Savoy visited Naples and Esposito baked them a pizza named in honor of the queen whose colors mirrored those of the Italian flag: red (tomatoes), white (mozzarella), and green (basil leaves). Happily, our decision was entirely based on using those ingredients which gave our pizzas the most delicious flavor, texture, and character. We use unbleached flour from wheat grown exclusively in Oregon, Washington, and Idaho, delicious plum tomatoes from Central California, and our meats and cheeses are locally sourced wherever possible. We believe that this upholds the Neapolitan tradition of using the best ingredients, but it also means that we are supporting our local growers, supporting our local economy and leaving a smaller transportation footprint. Most importantly, these ingredients make our pizzas as delicious as our humble abilities can muster. We are truly lucky to live in a region which produces ingredients that can equal and surpass the best that the world has to offer. 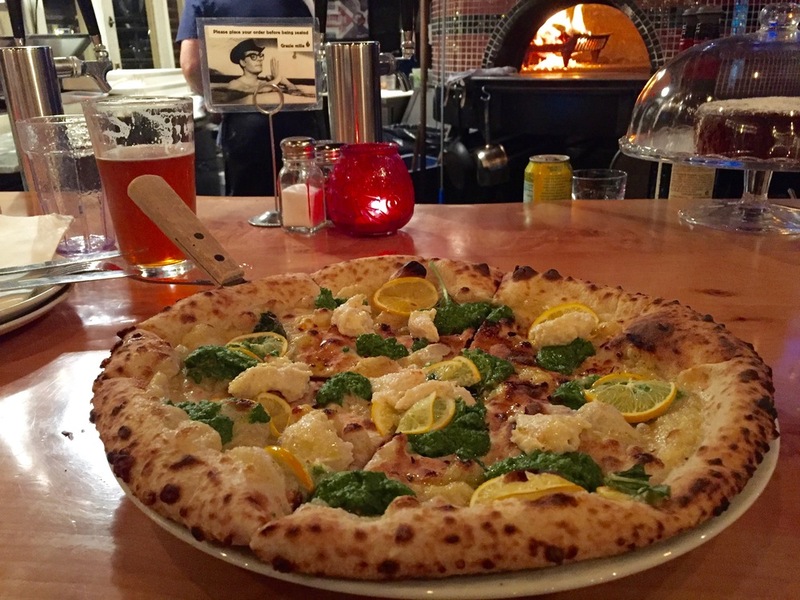 Check out this great story by Eater PDX on our recent pilgrimage to Naples!